The Youth Educational and Rehabilitation Center in Baltimore, will be dedicated to providing health and educational services for pretrial youths. 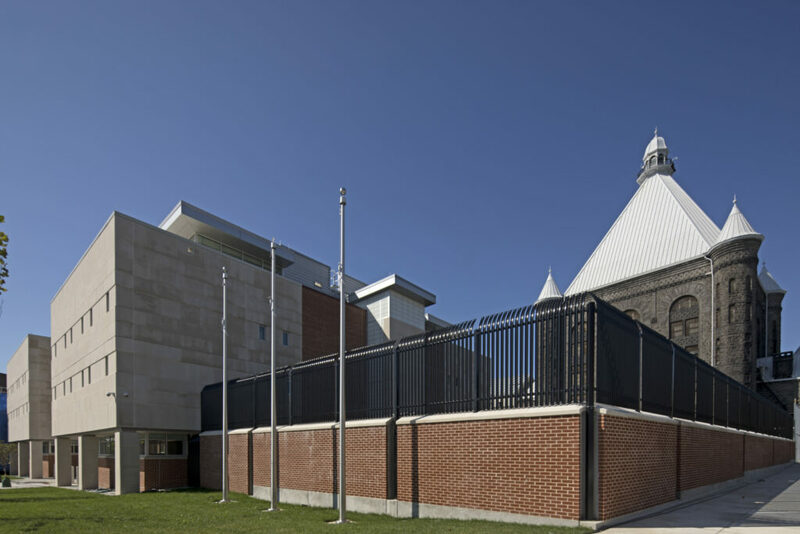 As a dedicated pretrial facility for youths, the Youth Educational and Rehabilitation Center (Youth Detention Center) will provide the extensive support services required of a juvenile population, including a full educational program operated by Baltimore City Public Schools. The facility also includes medical and mental health services, and athletics/recreational spaces geared toward the specific needs of a youth population. The facility is designed to achieve LEED Silver certification. A few of the integrated sustainable features include urban site selection and site density, reduction of water usage, a highly-efficient building envelope, high performance HVAC systems, efficient LED lighting sources, and recycled or readily renewable materials and finishes. Click here for more information from a local media outlet.